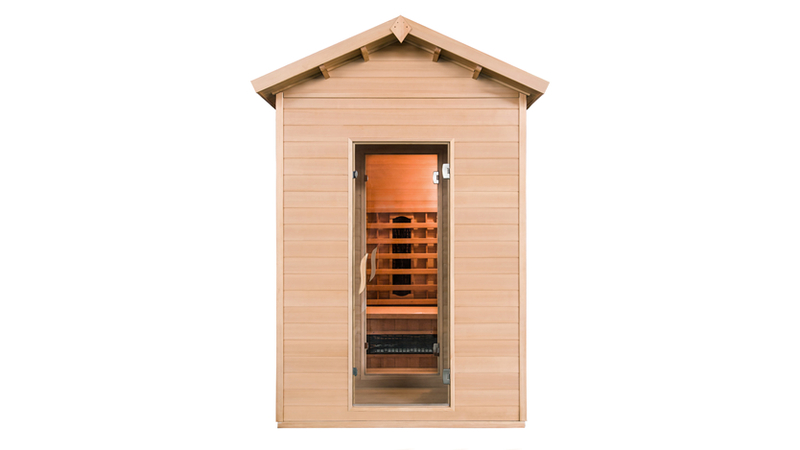 We are excited to announce the arrival of the beautifully crafted range of Rondium Infrared sauna to the UK sauna market. Aqualine has once again raised the bar by bringing the latest in Finnish sauna design to the UK. We are proud to be the only UK based retailer offering the very latest Harvia products including the all new ‘Solide’ range and now our latest addition, the Rondium Infrared. In a league all of its own, the Rondium is a future design classic in the making. 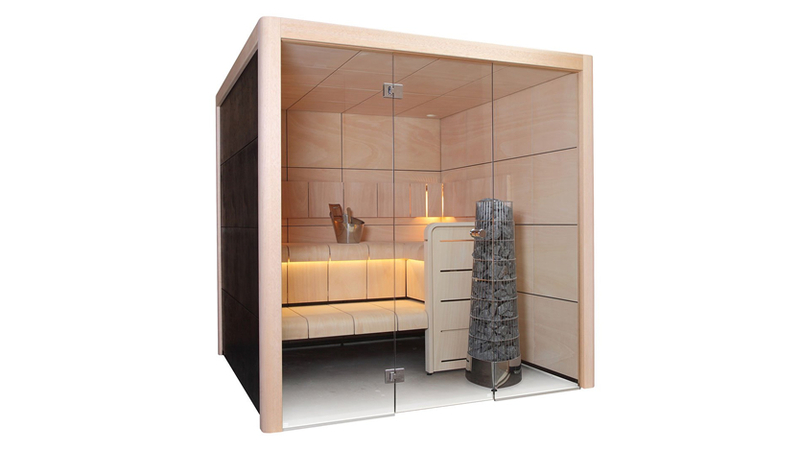 Hand-crafted from the highest quality Scandinavian timbers delicately finished with elegantly curved glass and striking stainless steel to create, quite possibly, the best looking infrared sauna available today. Inside, the walls and ceiling are made from aspen which is a knotless, light-toned hardwood which has been chosen specifically for its durability and bright consistent finish. The benches, backrests and edgings are also made from aspen with thermally treated decorations which give the interior design of the Rondium its exclusive ‘two-tone’ appearance. This heat-treating process not only increases the durability of the timbers but also adds colour and character to the sauna interior whilst imbuing the wood with a sweet and smoky aroma. The attention to detail in every handmade Rondium sauna must be seen to be believed. To help the sauna integrate into your existing décor, you can choose between alder, aspen or heat treated aspen for the exterior wall panelling. 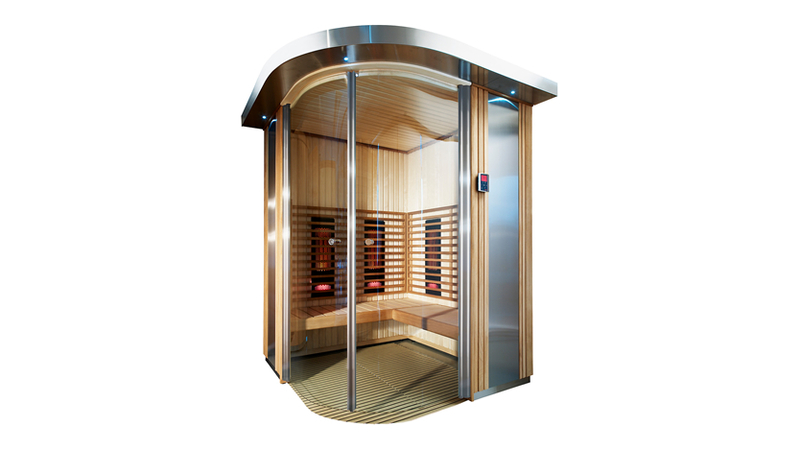 As well as being a perfect home sauna, the illuminated steel canopy, curved glass corner entrance, and the simple hassle free operation make the Rondium a perfect fit for any underutilised corner of a commercial spa or gym. Like any other Infrared sauna, the Rondium will help you unwind, relax your muscles, lower your stress levels, detoxify your body and burn calories; but like any item of furniture that you carefully select for your home, your sauna should be more than merely functional. Why not enhance these positive effects on your body and mind by getting a sauna that can improve your mood simply by looking at the sheer beauty of its design? Click here for information, prices and more.